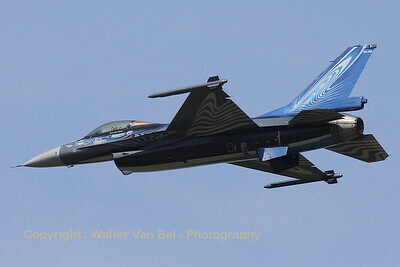 This Norwegian Air Force F-16BM had just arrived and ground crew assist the pilot. 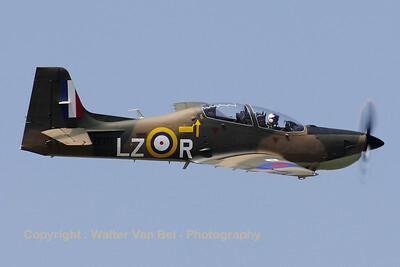 Note that the travel pod was already opened by the ground crew, making it easy for the pilot to get to his belongings. 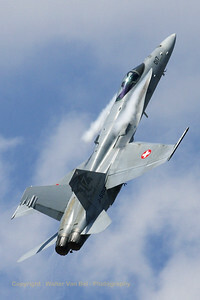 Beauvechain Air Show 2010 (arrival days). 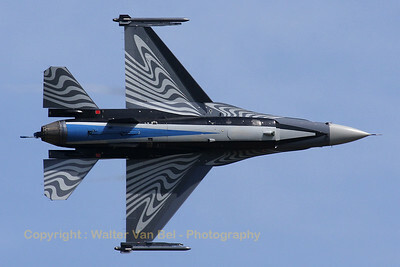 "Vortex", the Belgian Air Force demo-Viper, shows it beautiful c/s during the arrival day for the Beauvechain Airshow 2010. 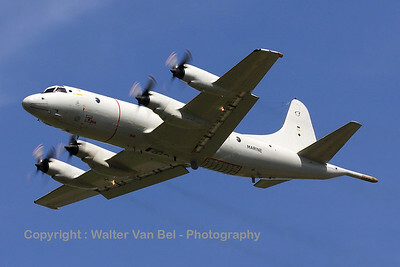 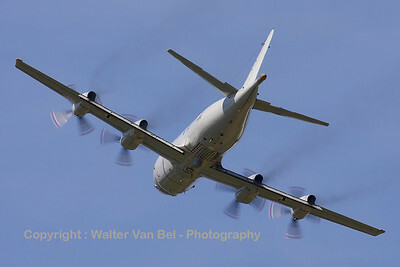 German Navy P-3C Orion arriving over EBBE during the arrival day for the 2010 Air Show at Beauvechain. 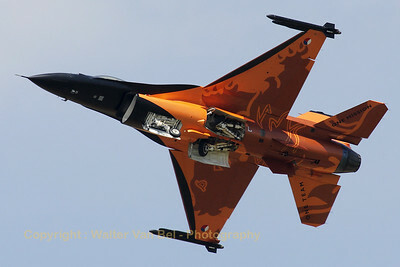 The new RNLAF demo pilot Capt. 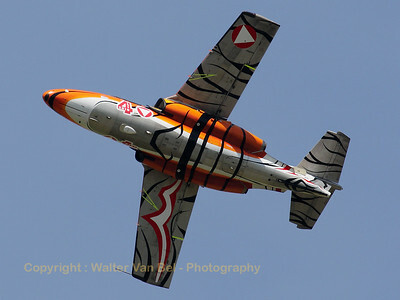 Tobias "Hitec" Schutte shows the bottom side of his "Orange Lion" while retracting the landing gear. 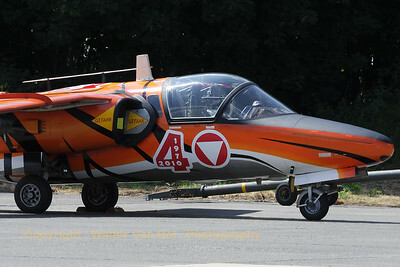 The new "Tiger" c/s applied on this Austrian Air Force Saab 105OE looks beautiful! 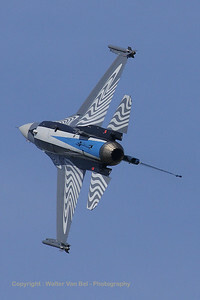 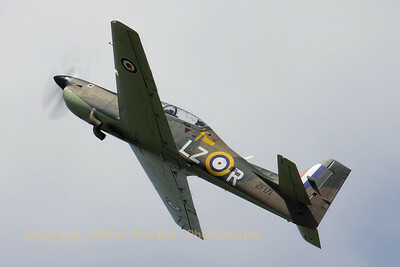 It is seen here during a rehearsal for the Beauvechain Air Show 2010. 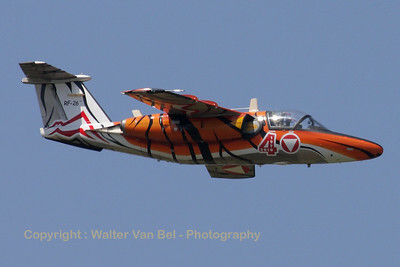 The new "Tiger" c/s applied on this Austrian Air Force Saab 105OE looks beautiful! 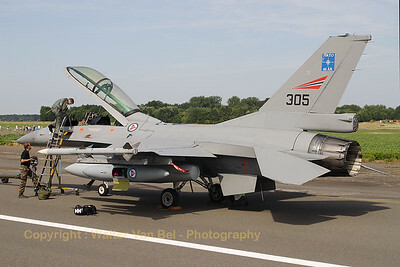 It is seen here parked at the flight-line after a rehearsal for the Beauvechain Air Show 2010.